The bronze life-sized Father Flanagan Statue commissioned in 2000 and sculpted by Nebraska sculptor, Fred Hoppe. 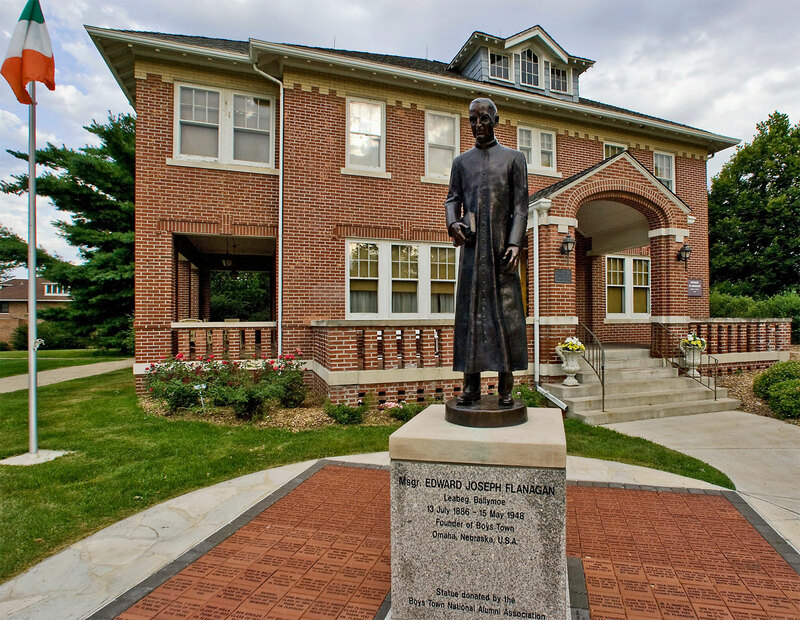 Two statues were created; one was placed at the Father Flanagan Museum in Ballymoe, Ireland and one in front of the Flanagan House Museum on the Boys Town Campus. Within the pedestal at the statue at Father Flanagan's house is a time capsule with memories, photos and artifacts from the date of dedication. The BTNAA raised more than $50,000 through the sale of miniature Father Flanagan statues to pay for this project. The Alumni Veterans Memorial, located in a place of honor at the head of Heroes Boulevard, stands as a reminder of the selfless sacrifice and sense of service to our nation of Boys Town Alumni over the history of our home. The first phase of the memorial, dedicated in 1991, is a massive bronze panel depicting the emblems of each of our armed services and the Merchant Marine and Coast Guard. The famous quote of President John Kennedy, "...ask not what your country can do for you — ask what you can do for your country." is emblazoned across the front of the memorial challenging all alumni to seek service to others. An expansion was made to the memorial in 2011 with the addition of a granite wall (made from granite slabs that were once porch slabs around the campus) with bronze plaques affixed to them to recognize and honor Boys Town alumni who were killed in action or died while serving in uniform. There are almost 90 names inscribed on bronze plates that honor our fallen alumni. 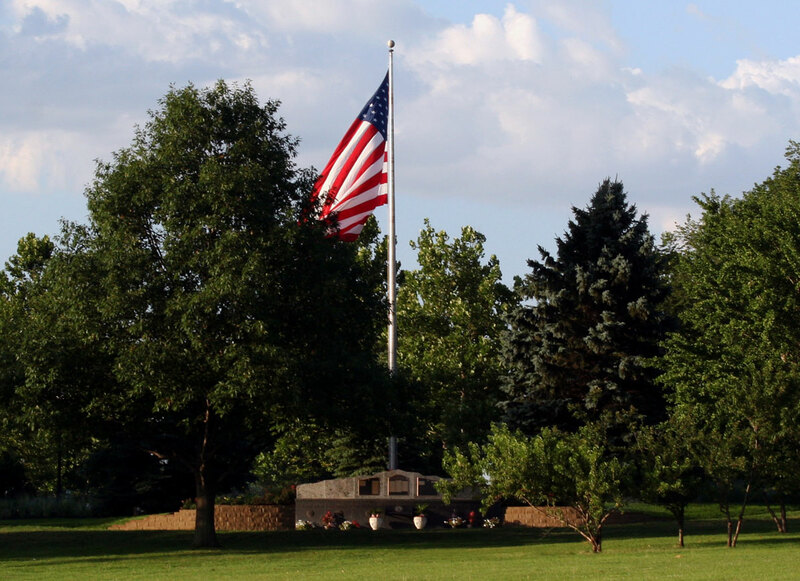 The two Veterans Memorial projects represent over $60,000 in contributions by our alumni through individual gifts and support from veteran's organizations in Nebraska and throughout the country. YouTube video honoring our fellow alumni. 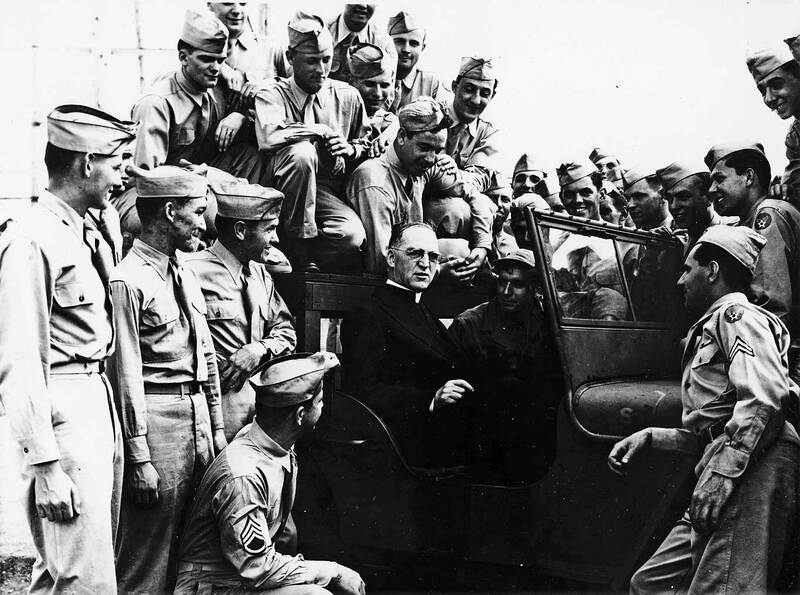 The Boys Town Alumni Association was a dream of Father Flanagan's that didn't come to fruition until three years after his death. 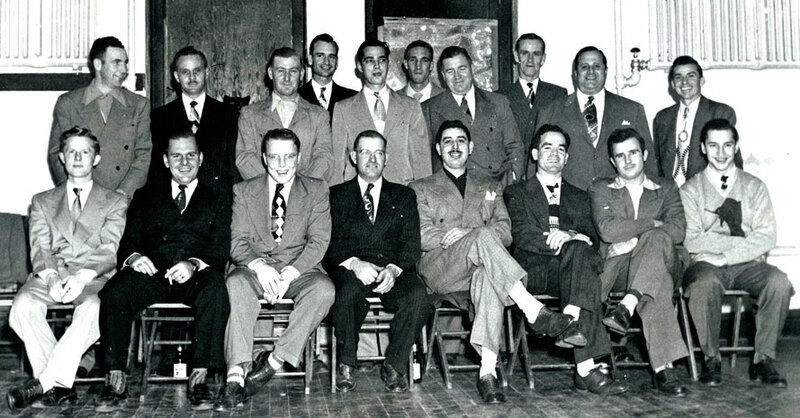 On June 4, 1951, 39 Boys Town Citizens together with 67 high school seniors who a week hence would be alumni, gathered in the Boys Town high school library at the invitation of Msgr. 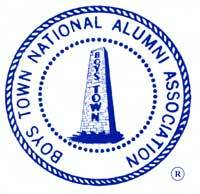 Nicholas H. Wegner, director of Boys Town, and formed the Boys Town Alumni Association. Father Flanagan's idea and desire of forming a Boys Town Alumni Association had become a happy realization. To keep alive among the alumni, bonds of friendship formed at Boys Town; to assist brother alumni whenever possible; to maintain closer contacts with, manifest interest in, and foster genuine loyalty toward the home and school; to promote the general good and welfare of Father Flanagan's Boys' Home by good works, example and words.